In the past two years I have written much about the works of Giorgione and other Renaissance masters but little about Giorgione himself. Last month I provided a background sketch of Venice in the time of Giorgione, and last week I discussed a possible self-portrait in a Budapest Museum. 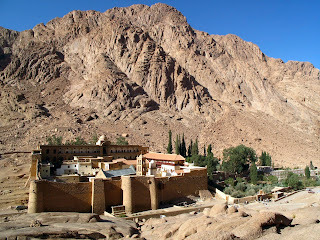 This week I would like to offer some comments, both old and new, about the painter's reputation. 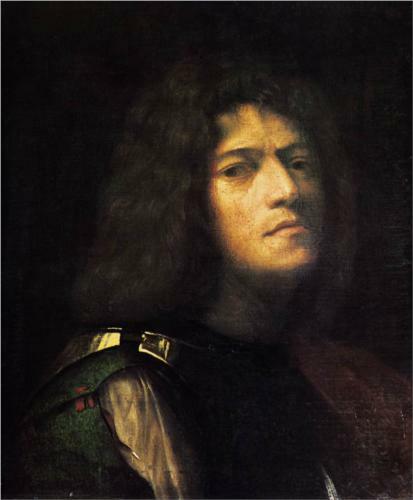 In the Preface to the 2004 Giorgione exhibition catalog Wilfrid Seipel, the Director of Vienna's famed Kunsthistorisches Museum, wrote about Giorgione's reputation among his contemporaries. Vasari devoted only a short biography to Giorgione but ranked the Venetian right up there with the greatest painters of the Renaissance. He placed Giorgione's biography right after Leonardo's and credited him with the creation of the "modern manner." In the 2004 catalog Sylvia Ferino Pagden, the curator of the Vienna exhibition, noted that Giorgione's fame is just as great in our time. 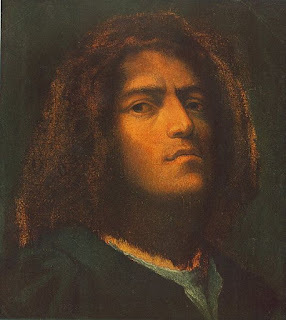 The mystery that surrounds Giorgione stems from the paucity of details about his brief life; difficulties about attribution; and most importantly, questions about interpretation. In his "Lives of the Painters", Vasari called Giorgione a painter of Madonnas, and works like the Castelfranco Altarpiece, and the Allendale Adoration of the Shepherds are well known, but he is not regarded primarily as a painter of “sacred” subjects. However, I claim that his Tempest, “one of the most enigmatic and famous paintings in the world,” is a “sacred” subject": that it is Giorgione’s version of a popular legend, “The Rest on the Flight into Egypt.” In addition, I argue that a lost Giorgione, usually called The Discovery of Paris, also represents an apocryphal episode on the flight into Egypt. If we can view Giorgione through a “sacred” subject lens, then we can see many of his other works in a new light. Added weight would be given to those who regard the Three Philosophers as the Three Magi; the Laura as Mary Magdalen; and the Boy with an Arrow as St. Sebastian. 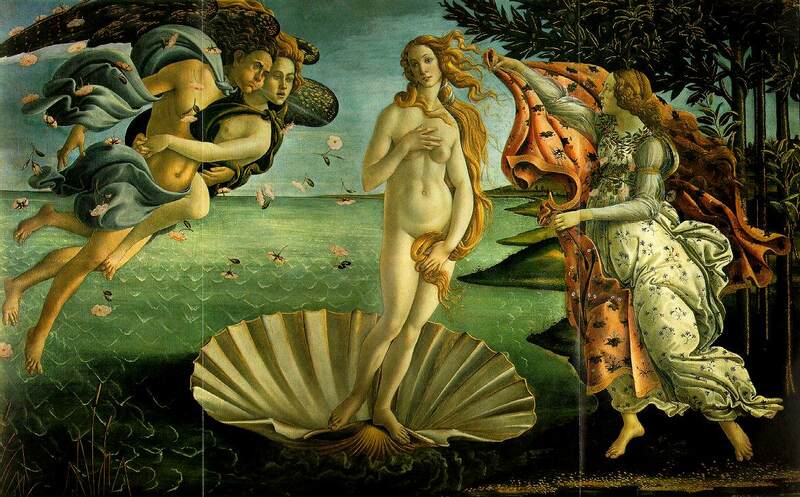 We will even be able to identify the subject of the so-called Three Ages of Man in the Pitti Palace. Finally, seeing Giorgione through a sacred subject lens, has led to an equally startling discovery, an interpretation of Titian’s famous Sacred and Profane Love as The Conversion of Mary Magdalen. About 100 years ago Edward Hutton waxed enthusiastic about Giorgione in "Venice and Venetia." Although he couldn't see Giorgione as a painter of religious subjects, he felt there was something sacred about the Tempest. * Giorgione, Myth and Enigma, An Exhibition of the Kunsthistorisches Museum and the Soprintendenza Speciale per il Polo Museale Veneziano, Exhibition catalog ed. By Sylvia Ferino Pagden and Giovanna Nepi Scire, Vienna, 2004. In the first decade of the sixteenth century at the very height of the Renaissance six of the world’s greatest painters were active in Italy. We have all heard of Leonardo, Michelangelo, and Raphael but Giovanni Bellini, Giorgione and Titian matched them in Venice. Of the six we know the least about Giorgione who died at about the age of 33 in 1510 at the height of his career. Even though we have very little biographical information, we might have a very fine self-portrait of the artist. In a Budapest Museum there is a striking portrait of a young man that might be Giorgione himself. It is a small painting measuring 31.5 x 28.5 cm done in oil on paper and then mounted on wood. The painting bears a close resemblance to one in Braunschweig that has been identified as a self-portrait in the guise of David. In her 1997 Giorgione catalog Jaynie Anderson gave the Braunschweig “David” to Giorgione but believed that the Budapest version was a later copy. 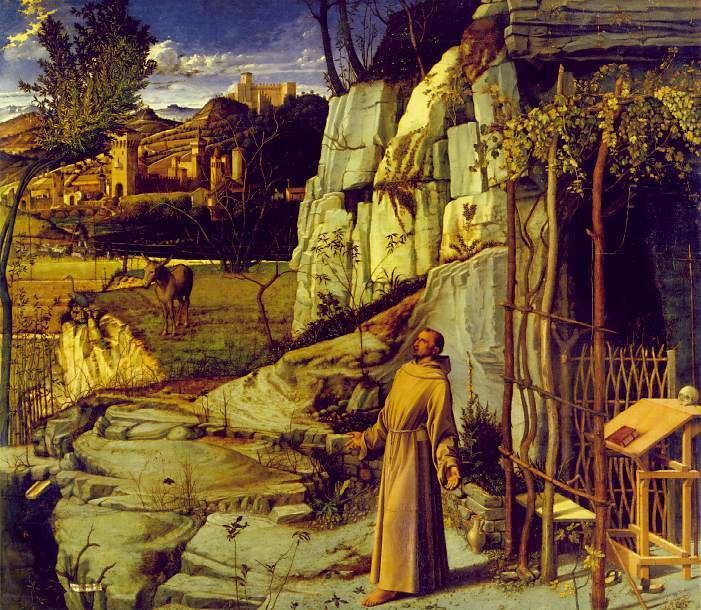 In their 1997 catalog Pignatti and Pedrocco did not include either painting in their list of works by Giorgione. The paintings in Budapest and Braunschweig share the position of the head, the striking features, the facial expression with the knitted brow, drooping mouth and prominent chin. But the gaze in this small picture [Budapest] is much more direct, penetrating, critically examining; and at the same time the position of the head seems consciously posed. Instead of the melancholy, contemplative expression we find in the Braunschweig painting, there is a feeling of concentrated self-expression. The use of paper support is much more customary for sketches and drafts than for copies executed in oil. 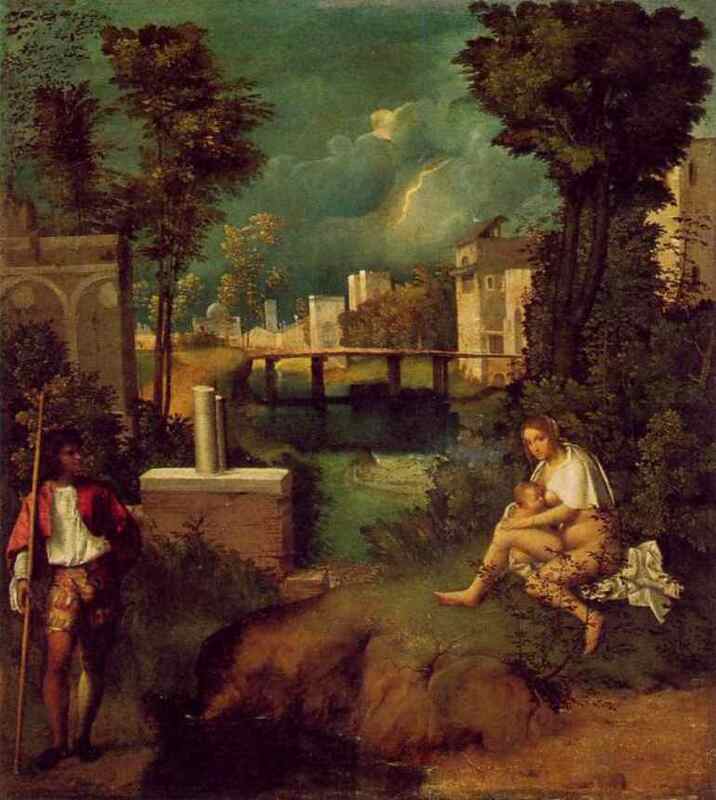 The type of depiction makes is appear probable that Giorgione painted the picture in the evening sitting in front of a mirror in his atelier. 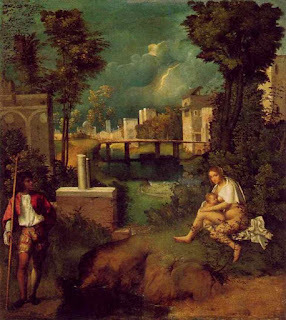 In his Lives of the Painters Vasari credited Giorgione with the invention of the modern manner and since then most scholars have agreed that Giorgione’s work signaled a revolution in art. At the same time when Florence was acquiring so much renown form the works of Leonardo, the city of Venice obtained no small glory from the talents and excellence of one of its citizens, by whom the Bellini, then held in such esteem, were very far surpassed, as were all others who had practiced painting up to that time in that city. This was Giorgio, born in the year 1478, at Castelfranco, in the territory of Treviso…Giorgio was, at a later period, called Giorgione, as well from the character of his person as for the exaltation of his mind…. Giorgio Vasari, Lives of the Most Eminent Painters, selected, edited, and introduced by Marilyn Aronberg Lavin, Volume II, New York, 1967, p. 227.